Blue is the most popular color in the world, as well as one of the most prevalent. Our planet is mostly blue water. Our sky is blue. It is the easiest color to distinguish in the dark or across distances. I think its sheer pervasiveness in everyday life helps to make it a favorite. By no means is this a new trend, though. It is a bit of a latecomer to the art world compared to the reds and ochres we find in ancient cave paintings, but it has more than made up for it since. The lapis lazuli stone was much used in ancient Egypt for its rich color. In the Renaissance age, ultramarine paint made from that same stone was the most expensive pigment, prized for its vibrancy. Woad, indigo, cobalt, azurite: whatever its natural form, blue has been used in everything from fabric to painting, on stained glass windows and on pottery, across centuries, cultures and continents. It should be no surprise, given this huge popularity, that blue is a pillar of all of our major color systems. It’s a primary color on the color wheel. It’s the B in RGB and the C (cyan) in CMYK. It has become the standard color for links in internet browsers. You’ll also see blue as a prominent color in branding across a wide swath of industries. Fun fact: dark blue is now the most common color for business suits worn by world leaders. You’ll find it dominant in uniforms, too: police uniforms, military dress uniforms, doctors scrubs. Sports teams, universities, and nations all show a decided preference for shades of this color. As you can see, blue is heavy on the positive meanings, and light on the negative meanings. Even the neutral meanings lean towards the positive. Is it any wonder, then, that this color is so universally liked and used? I’m certainly a fan. 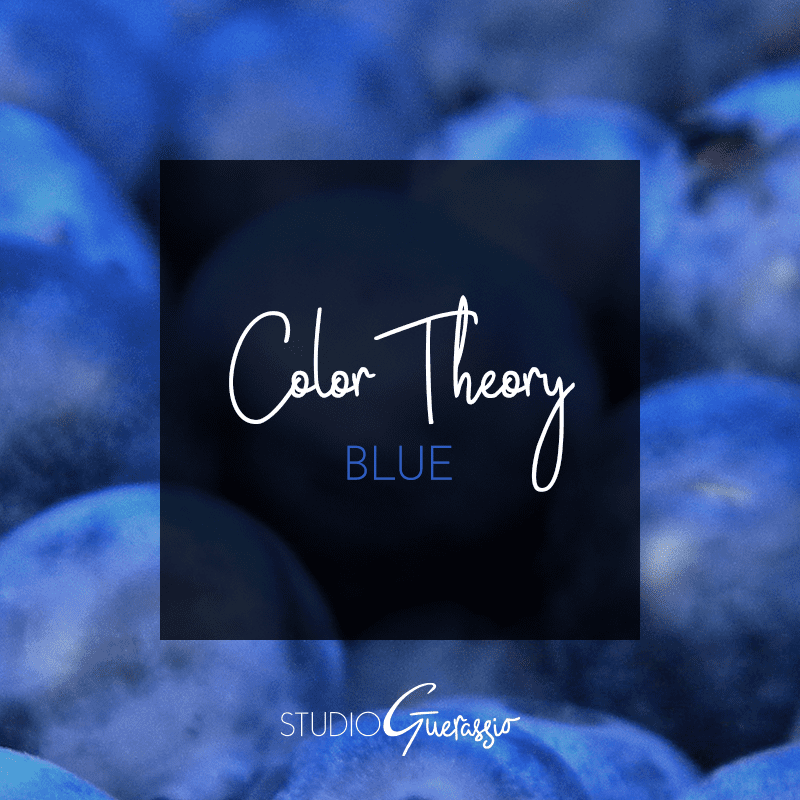 The wide range of shades make it an ideal color for design work – there’s almost always a shade that fits my project, and blue also pairs really well with other colors. If you want to see some examples of the many ways it can be combined and used, check out my color board on Pinterest. What does blue make you think of? Are you in Camp Blue Favorite like most of the world?